(917) 262-0757 x101 THANK YOU! You'll have 30 minutes for set-up/decorating before your start time. Additional time may be added (pending availability) for $75 per half hour. Security Deposit: To officially hold your desired date and time, a $100 + tax deposit will be taken upon check-out. It is non-refundable. In the event of inclement weather, however, we will reschedule to another date and time, pending availability. Extra Participants & Extra Time: Note that we do not charge an admission fee for guests who simply wish to enjoy the event and not participate in our attractions. However, if you wish to add Extra Participants or Extra Time, click "YES" at the time of checkout and in your confirmation email (sent within 24 hours after booking), our Team will confirm your add-ons. More info? Read our FAQ's about the park and hosting a party with us! 1. 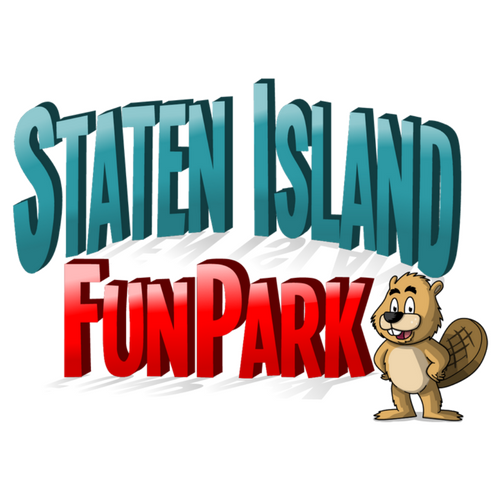 Party Area & Exclusivity: The Staten Island FunPark is not closed to the public during your event. The tented party area, exclusive seating / tables are exclusive to you and your guests, only. There are no skip the line passes or designated areas that permit exclusive or priority access to any attraction. 3. Decorations, Paperware / Flatware: Any and all additional paperware, including flatware and decorations, are your responsibility. Decorations are also of your own accord and must be removed and taken with you upon your departure. Decorations must not disrupt or damage the integrity of the facility's infrastructure in order to avoid reparation fees. Decorations left behind after your party ends will be removed and discarded by Staff. 4. Food & Beverage, and Deliveries / Catering: Food and Beverage are available as party add-ons; however, if you wish to bring your own F&B, you are welcome to do so at no additional cost. However, food cannot be cooked / prepared onsite; it must come ready to serve. Sternos are not acceptable. Beverages must be non-alcoholic. No outside F&B beverage storage is available but you are welcome to bring your own coolers or containers. We do not provide ice. Third-party deliveries (i.e. balloons, decorations) or catering are your responsibility and will not be received, managed, or confirmed by our Staff under any circumstance. We cannot store F&B, decorations, etc. prior to your event. 7. Code of Conduct: I understand that my party must adhere to the park's Code of Conduct and all attraction and safety instructions posted throughout the park. 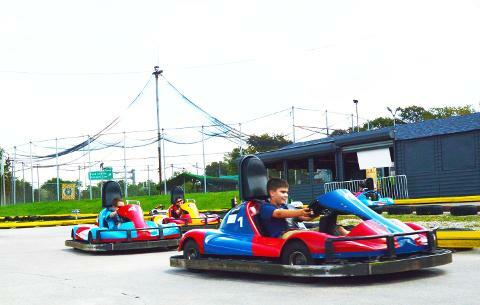 This includes adhering to all attractions' rules, regulations, and restrictions especially on Go Karts: in order to drive alone, a Driver must be at least 58" tall. To be a passenger, the participant must be at least 40" tall and be accompanied by an adult (18 years or older). 8. I understand that the NYC sales tax of 8.875% will be added to my remaining balance owed the day of my event.